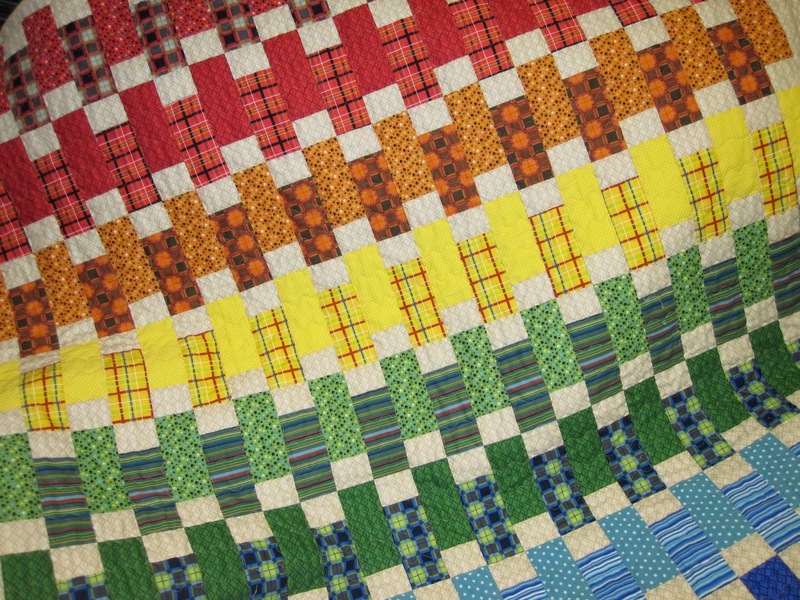 It is a very fun and colorful quilt. If you don't remember I showed the completed top a couple post ago. I just quilted it with a wavy stitch. 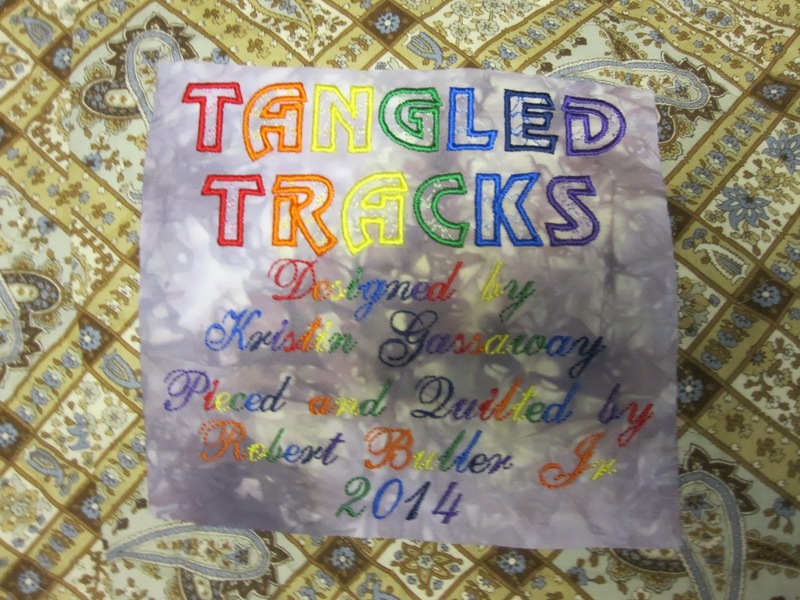 And of course I made a fun and colorful label to go with it. Plus you can see the wonderful backing fabric I used. Picked from the clearance shelf, of course!! Jim suggested I let him pick the backing fabric from now on. He didn't like the fact that it didn't match the top. 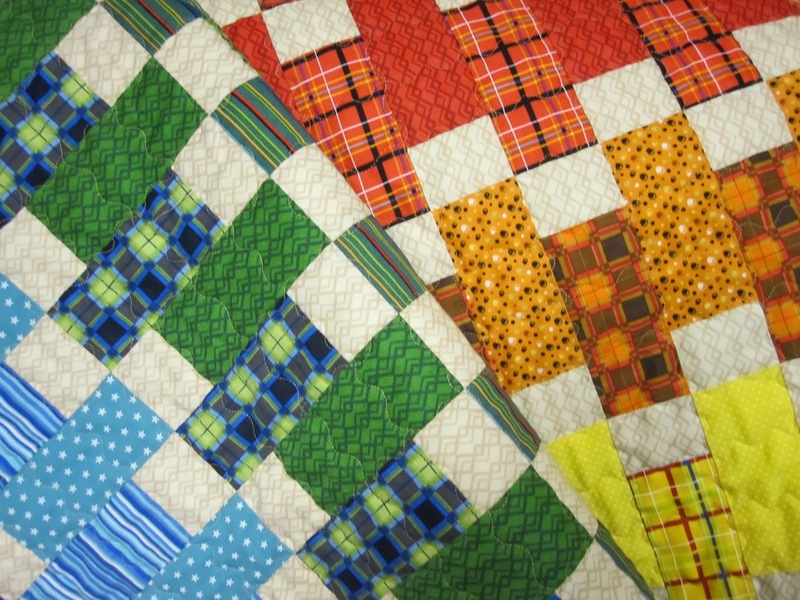 I tried to explain that it does not need to match the top, it has to be busy enough so you don't see the mistakes in the quilting!! 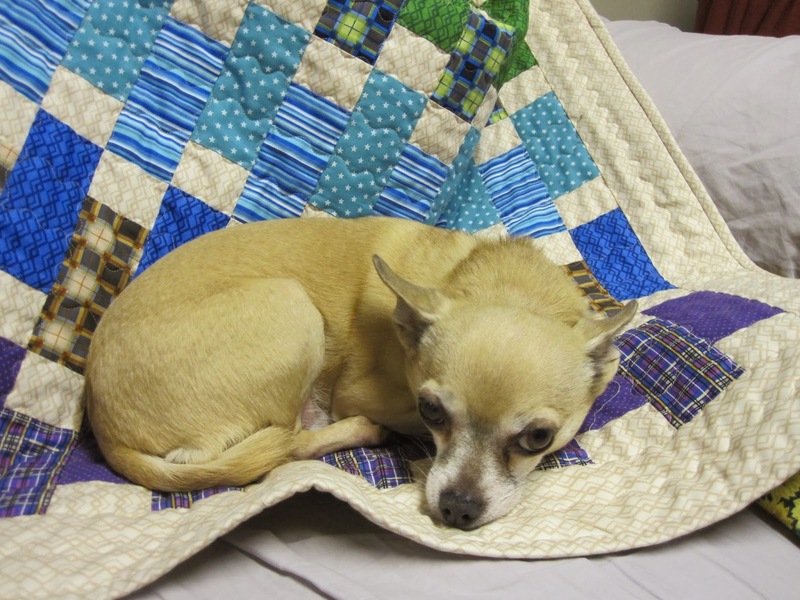 And look who found the quilt while I was creating my post! !